Bubbling potions can be bad for your health! Just ask Dr. Jekyll. By day, he's a kind doctor. But by night, he's the merciless kill Mr. Hyde. And all because of a magic formula. 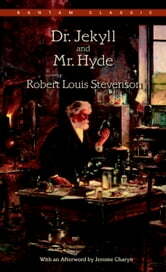 Will anybody find out the horrible secret of Dr. Jekyll and Mr. Hyde?